Welcome to the state of the NBA; the league where 90% of the league’s teams are tanking. Although the NBA season is still in its opening stages, there are many intriguing topics that are worth mentioning. First and foremost, the player that always seems to be at the forefront of every NBA headline: LeBron James, has just passed Wilt Chamberlin to become 5th on the all-time scoring list. With 44 points against the Portland Trail Blazers on November 14, Lebron James now has 31,530 points (at the time of this writing) to his name. So far this season, James has put up several dominant performances and has averaged 27 points 8 rebounds and 7 assists with an over 50% field goal percentage. Also in the news, Jimmy Butler has been traded. 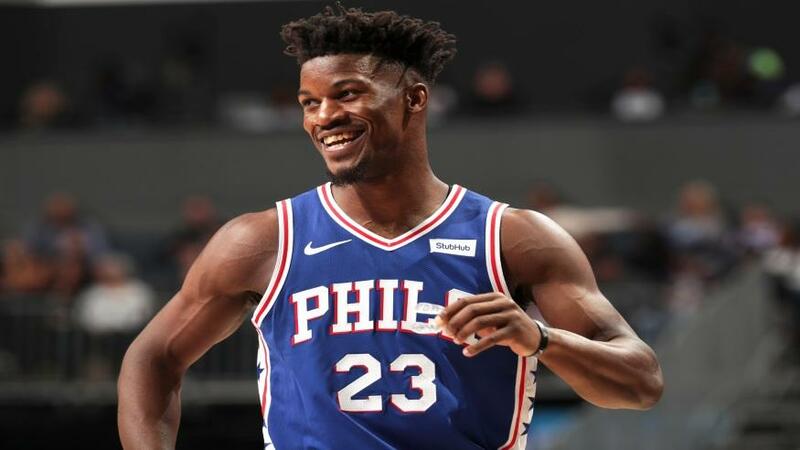 Jimmy Butler and Justin Patton were sent packing for Philadelphia in exchange for Dario Saric, Robert Covington, Jerryd Bayless and a 2022 second round pick. You cannot really criticize the Timberwolves for this return. Although it is not the best trade for the T-Wolves, especially for fans hoping for a playoff run, it seems as though this was the best offer they could get. I have a feeling most NBA teams would not want a character like Butler on their squad, who could possibly be detrimental to the team if he lashes out at teammates or management as he did in Minnesota. As for who won the trade, it is hard to tell. It seems like the Timber Wolves got rid of a nuisance to the team but on the other hand, they got rid of an NBA superstar for a less than perfect return. And although the Sixers got a proven star, he could hurt the development of the team’s young players with his ball-dominant style of play. The Washington Wizards have been rumored to be open to trading one of the members of their star-studded backcourt containing John Wall and Bradley Beal. The Wizards originally tried to trade Otto Porter or Kelly Oubre for a third star to compliment their stud guards but were not getting the returns they wanted. Now they are open to trading either Wall or Beal to possibly make a big run in the playoffs. Some speculate the core of John Wall, Bradley Beal, and Otto Porter just does not work well together. So far Bradley Beal has gained more interest from potential trade partners which makes you wonder if he has usurped the Wizard’s star player role away from John Wall. Maybe the possibility of getting a rising star with an affordable contract is very appealing to most teams. We will just have to wait and see. However, the season has still just started and we have a full season ahead of us until real competition begins: Who can get the 2018-19 first overall pick? Because the NBA championship has already been decided.